Andrew joined The Bensman Group (TBG) in 2014, bringing with him almost 30 years of experience in strategy and management consulting, marketing, sales, and management. He worked exclusively with privately held, growth-oriented, and profitable organizations. His passion and enthusiasm for pursuing personal and business interests enables him to establish and achieve meaningful goals. He will apply this experience to help build client businesses. Andrew’s primary responsibilities at TBG include identifying, developing and maintaining corporate relationships, marketing to privately held businesses, and sharing his proven transferable success strategies, with a focus on Retirement Plans. Entrepreneurs and corporate leadership teams benefit from Andrew’s experience and wisdom. He understands how great companies succeed. He has helped clients identify and attract customers, sell programs, products, and implement “best practices” to grow, and improve profits. Andrew had direct responsibility for these functions in his role as Vice President, Sales at Jackson Software (Edline). 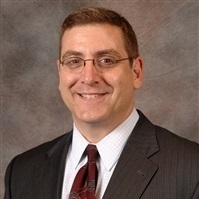 Prior to Edline, he was at Medline Industries where he rose to Operating Room Division President, and President of the Distributed Products Division. During his time at Medline these divisions grew three and twelve times respectively. Andrew brings this experience and his business acumen to TBG and our clients. Andrew is co-author of the book, “How To Overcome The Power of the Golf Ball” (written with Ollen Stephens, PGA Certified Professional, Instruction). This book provides a blueprint to achieving goals and exceeding dreams in the game of golf. Andrew has applied these principles in business to foster meaningful results. 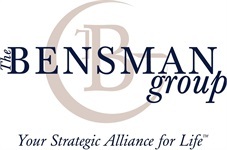 He and the Bensman team help TBG’s corporate clients target the most important elements in their businesses. Together we utilize a holistic approach to understand client values and develop customized solutions. Embracing a strategic plan and an experienced coach will further enhance your growth. The right coach will target the most important elements, explain the complex in applicable terms and demonstrate how to implement the changes to help move from status quo, to the next level. Andrew’s book, “How To Overcome The Power of the Golf Ball” with Ollen Stephens, PGA Certified Professional, Instruction, provides a blueprint to achieve your goals, and exceed your dreams in golf. These principals, when applied in business, will foster meaningful results. Andrew earned his M.B.A. (Masters of Business Administration) in Finance and Marketing from the University of Chicago Graduate School of Business (now Chicago Booth), Chicago, IL. He was honored with a Dean’s Outstanding Contribution Award presented to only 13 members from his class of 600. He received a B.A. in History from the University of Virginia, Charlottesville, VA. Andrew spent his third year in Cambridge, England at Cambridge University, Queen’s College, where he studied the rise and fall of the British Empire, focusing on the factors influencing its success and failure. Andrew earned his Accredited Investment Fiduciary (AIF®) designation from Fi360 in 2018 by completing a program that empowers investment professionals with the fiduciary knowledge and tools they need to serve their clients’ best interests while successfully growing their business. Andrew holds the following licenses: Investment Company Products/Variable Contracts Limited Representative (Series 6); Uniform Securities Agent State Law Examination (Series 63) (NASAA); and Uniform Investment Adviser Law Examination (Series 65). He also holds Life, Accident & Health, Property and Casualty Insurance Licenses. Andrew excels at setting and achieving his goals. He holds a 1st Dan Black Belt in Taekwondo. He ran his first marathon (Chicago) in 4 hours and 9 minutes. Andrew is a retired champion of the Television Game Show Classic Concentration. Additional interests include writing (published author), golf, and Krav Maga. His primary love remains his commitment to his family, and their rescue dog, Nicklaus.